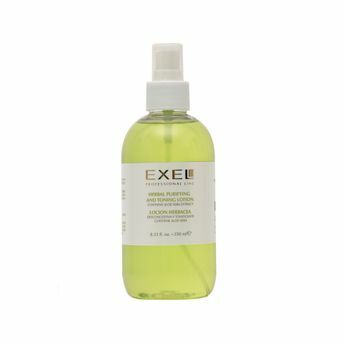 EXEL Herbal Purifying and Toning Lotion refreshes, hydrates, and balances skin's pH levels without stripping your skin or drying it out. This toner perfectly preps skin to increase absorption of serums and moisturizers. Enriched with a nourishing blend of Aloe Vera extract, Witch Hazel, Chamomile & Mallow extract to balance and restore skin, leaving you feeling refreshed. Chamomile and Witch Hazel helps to reduce skin irritants by neutralizing free radicals & helps protect skin against DNA damage. Aloe soothes, restores and hydrates skin. The vegetable extracts in this lotion cleanse, moisturize, refresh, tone and protect the skin and also recondition and stimulate the areas to be treated. Leaves skin refreshed, without a greasy or sticky finish. Visibly reduces pore size. Smoothes skin texture. Suitable for all skin types: normal, oily, dry & sensitive. Use it every day for a maximum soothing, cleansing and refreshing effect. Explore the entire range of Toners & Mists available on Nykaa. 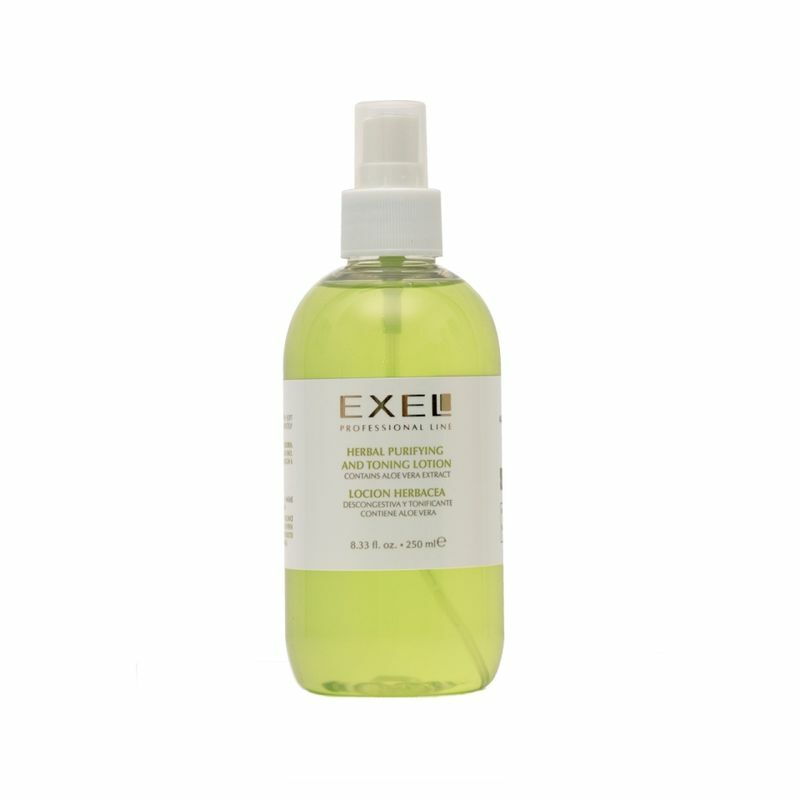 Shop more EXEL products here.You can browse through the complete world of EXEL Toners & Mists .